From a stage of relegation in the Bundesliga, Borussia Dortmund have fought to a position in the top 10 of the League table. The German club will go into the March 18 clash with the knowledge that they have not been beaten at home in the last four games. They have just lost one game in their last 8 outings in all competitions, their only loss coming from their 1-2 loss from the first leg of the Round of 16 clash against Juventus away in Turin. Borussia's recent form indeed make them the dark horses of the Champions League. The Dortmund-based club just needs to score once and prevent the visitors from doing the same at the Westfalenstadion on Wednesday. But one shouldn't read much into the club's unbeaten run, for two of their last Bundesliga encounters have ended in goalless draws. They were high on possession but seriously lacking in opportunity creation. Borussia's attacking trio of Marco Reus, Ilkay Gundogan and Shinji Kagawa haven't been combining well and the 4-4-2 formation adopted by FC Koln put shackles around the Dortmund attack. This is something the Juventus defense could adopt at the Westfalenstadion to good effect. Juventus on the other hand are comfortable leaders in the Serie A with a 11-point lead over nearest rivals AS Roma. This should leave them completely free to concentrate on their Champions League outings.Their last three domestic encounters have been nothing of the sort to write home about though. A 1-2 loss to Fiorentina in a Coppa Italiana clash and listless 1-0 wins over minions Palermo and Sassuolo Calcio marked their performance for the month of March so far. Alvaro Morata, Carlos Tevez and Arturo Vidal will probably form the attacking component in Juve's starting line-up. Andrea Pirlo and Andrea Barzagli are expected to add to the starting XI. Borussia coach, Jurgen Klopp will have his job cut out in getting through an ultra-defensive Juventus set-up while preventing a potent attack-force led by Tevez & co. from scoring. They will definitely be looking to the brilliance of Marco Reus for the few scoring opportunities likely to come their way. Borussia will have to bank on the home advantage and vociferous crowd support. This could push them forward against a shaky Juventus, especially in the early stages of the match. History seems to favor Juventus. Of the three occasions the Italian club travelled to Dortmund, they have beaten the hosts on all three. 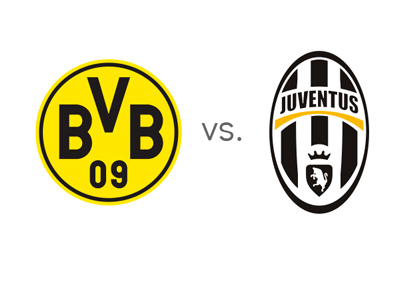 But odds this time are in tandem with the consensus view of a 2-1 scoreline in favor of Borussia Dortmund.